12/09/2016 – The APWU prevailed in an arbitration that keeps hundreds of Clerk Craft jobs in the union’s bargaining unit. Tuesday’s election defied expectations and set historical precedents. The results were disappointing, but we recognize democracy in action, and look for ways to move forward. 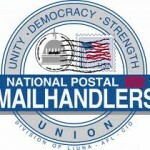 Negotiations between the NPMHU and the Postal Service over the terms of their 2016 National Agreement have been revived, with the parties meeting in Washington, DC to resolve their remaining disputes. 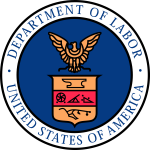 One of the primary reasons for extending the NPMHU-USPS negotiations deadline past May 20, 2016 was to await issuance of a related interest-arbitration award, and that event has now occurred. On July 8, 2016, an arbitration panel chaired by Stephen Goldberg issued its award, setting the terms of the 2015 National Agreement between the Postal Service and the American Postal Workers Union. That arbitration decision awarded a contract covering 40 months, from May 21, 2015 to September 20, 2018. On the key economic issues, the award provided career employees with three general wage increases of 1.2%, 1.3%, and 1.3%, as well as a potential for five cost-of-living adjustments during the same time period. Non-career employees who are not eligible for COLA were awarded wage increases of 2.2%, 2.3%, and 2.3%, plus another 50 cents per hour spread over the contract. The award also included no layoff protections for career employees currently on the rolls, and a continuation in the cost-sharing adjustments for the costs of career employee health insurance. With this APWU-USPS award now being implemented, the NPMHU and the Postal Service are jointly aiming to complete their bargaining process. Only a handful of issues remain, and talks are underway to resolve those differences. It will probably be late summer or early fall before all matters are finalized, but if and when a tentative settlement agreement is reached, it will be subject to ratification by the entire membership of the NPMHU. Please watch your bulletin boards for the latest information.